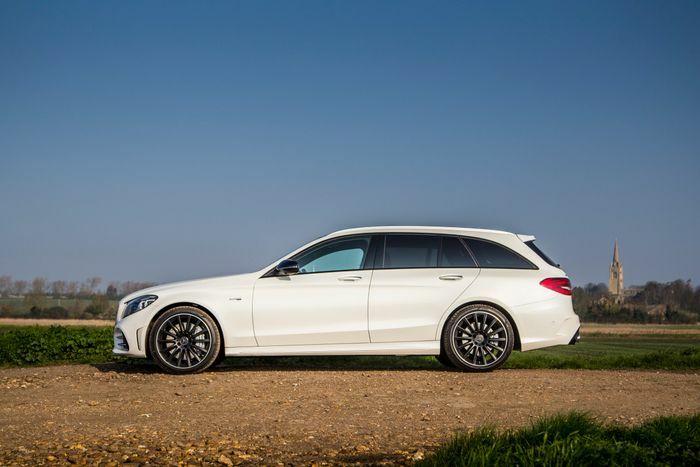 I'm Living With A Mercedes-AMG C43 For Nine Months: What Do You Want To Know? Our long-term test fleet just got a little more varied. 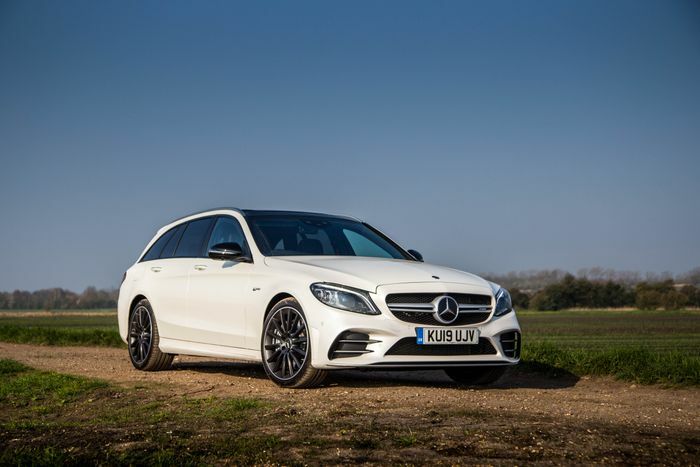 Alongside ‘our’ Honda Civic Type R, Cupra Ateca and Skoda Superb crew car, we now have an AMG estate to get to grips with. One step down from the base Mercedes-AMG C63, the C43 is a car I’ve always found appealing. 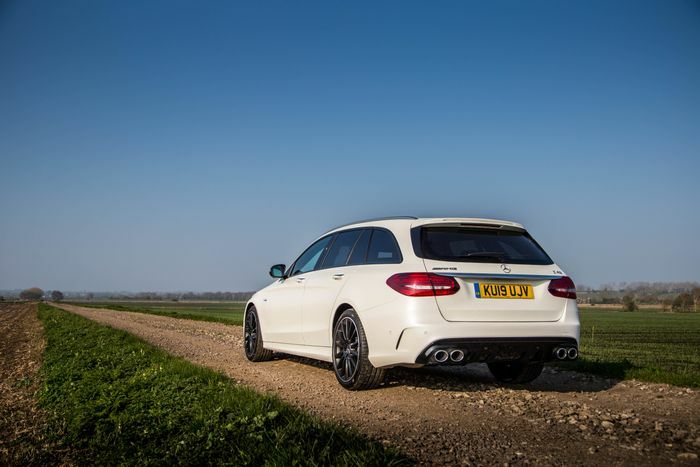 With 384bhp on offer and a 0-62mph time of 4.8 seconds, it’s plenty fast enough, and unlike its rear-wheel drive big brother, the AWD wagon will be able to put its power down however wet it is. It’s an AMG for all seasons, this. This particular C43 is rather generously specced, with the £51,200 on-the-road price ballooning to £62,065 after some liberal clicking on the online configurator. 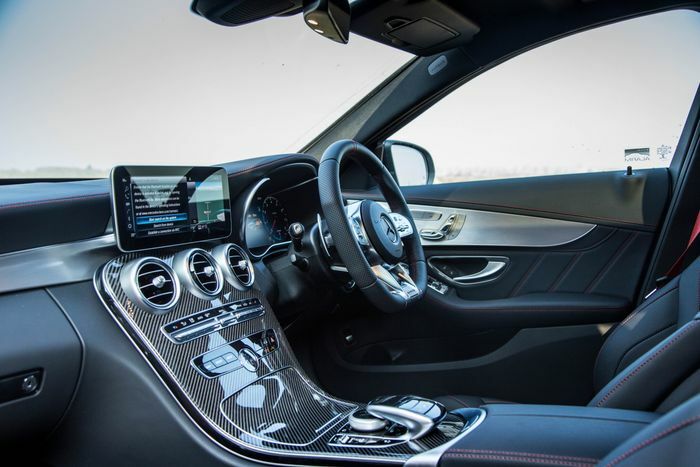 The biggest single option is the £4995 ‘Premium Plus’ pack, which adds - among other things - the brilliant Burmester sound system, a nice infotainment system, multibeam LED lights, and a panoramic sunroof. We also added the £1000 AMG performance exhaust (a no-brainer) and 19-inch black multispoke wheels (possibly a mistake). The whole shebang is finished in Designo diamond white metallic. We’ll be going through the spec in more detail after we’ve found out which choices were good ones, and which ones were bad. We’re certainly happy with the way the car looks, even if black on white isn’t exactly subtle. 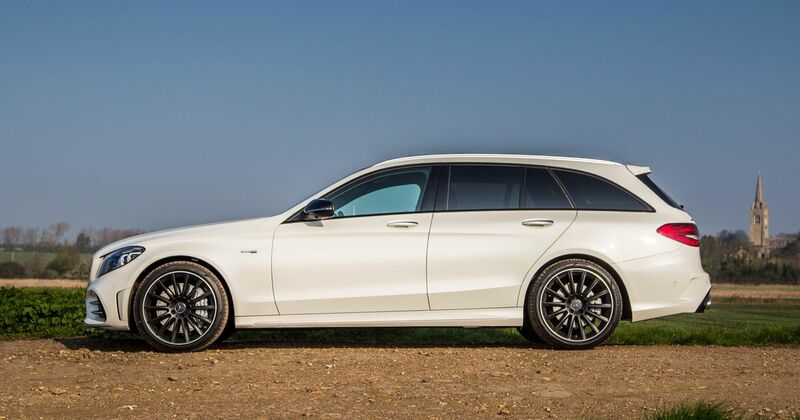 Some of you will no doubt be keen to point out that the additions put this C43 perilously close to the starting price of a C63 wagon, and although you’d need to add a few options to the latter to match the spec of the former, you would have a point. So, we will at some point be doing a 43 vs 63 showdown, to see if it’s worth your while making the jump to the V8. We’ll also be pitting it against its rivals from elsewhere, testing out the fuel economy, finding out how practical it is, and trying to work out if this ‘semi-skimmed’ AMG deserves those three letters affixed to the boot. Is there anything else you’d like to know, or anything you’d like to see? Make your way to the comments. Recommended car throttle shop Worldwide Shipping In The CT Shop Car Throttle Submit Your Videos To Get Featured On Our Social Channels Blog 2019 Car Industry April Fool's Pranks: The Good And The Bad Blog 7 Weird Things Spotted At The 2019 Geneva Motor Show Blog The Hybrid Car Is Already Dying And Here's Why It Makes Us Happy Blog This Awesome Story Of Generosity Proves The Car Community Is The Best Blog 5 Reasons We’ll Remember The F80 As The Best M3 Ever Blog How The Right-Size Wheels Transformed Two Of My Cars Blog The New Rush Of Affordable, Desirable EVs Finally Makes Sense Blog The New Ford Focus ST Has Advanced, But Has It Sacrificed Character?